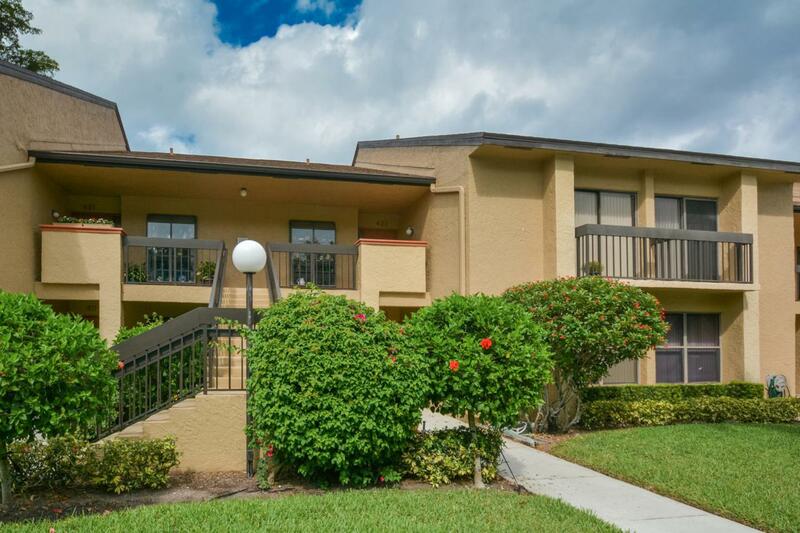 BEAUTIFUL CONDO, NEWLY RENOVATED WITH GOLF COURSE VIEW, OFFERS GRANITE COUNTER TOPS, WHITE WOOD CABINETS & SPECIAL BACK SPLASH & BREAKFAST NOOK IN KITCHEN. EXTENSIVE CROWN MOLDING THROUGHOUT, VAULTED CEILINGS, LARGE ATTRACTIVE TILE THROUGHOUT, GRANITE COUNTER TOPS, WOOD CABINETS & NEWER TILE WALLS WITH INLAYS, IN SHOWER AREAS IN BOTH BATHS. ROMAN TUB & LARGE WALK-IN CLOSET IN MASTER. BOCA DELRAY'S AMMENITIES OFFER A 18 HOLE GOLF COURSE, 5 HAR-TRU TENNIS COURTS, 2 POOLS, FITNESS CENTER, CLUBHOUSE, 19TH HOLE & MORE. CLUB MEMBERSHIP IS NOT MANDATORY, AND YOU CAN PLAY GOLF WITHOUT HAVING A MEMBERSHIP. YOU TRULY HAVE TO SEE THIS PROPERTY & CLUB TO FULLY APPRECIATE IT, HURRY!! !